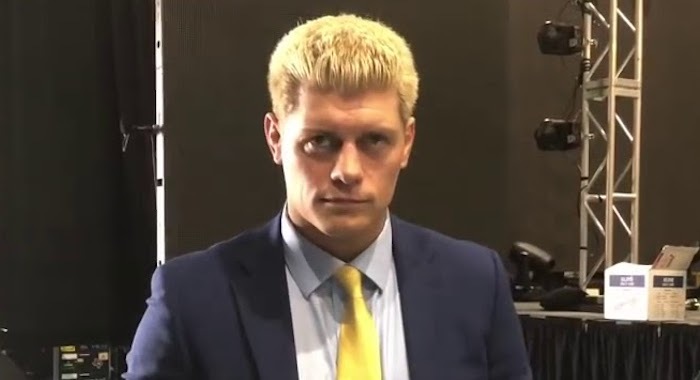 Cody Rhodes has unfortunately been pulled from the remainder of the Ring of Honor x New Japan Pro Wrestling Global Wars tour, after experiencing what he described as a “loud pop” in his knee. He will be receiving an MRI during the upcoming week to access the potential injury, and the extent of the damage is current unknown. The “American Nightmare” was scheduled to defend his IWGP U.S. Heavyweight Championship this evening in Toronto against Trent Barretta, and has announced that he and Ring of Honor will find a “suitable replacement” for the match instead.